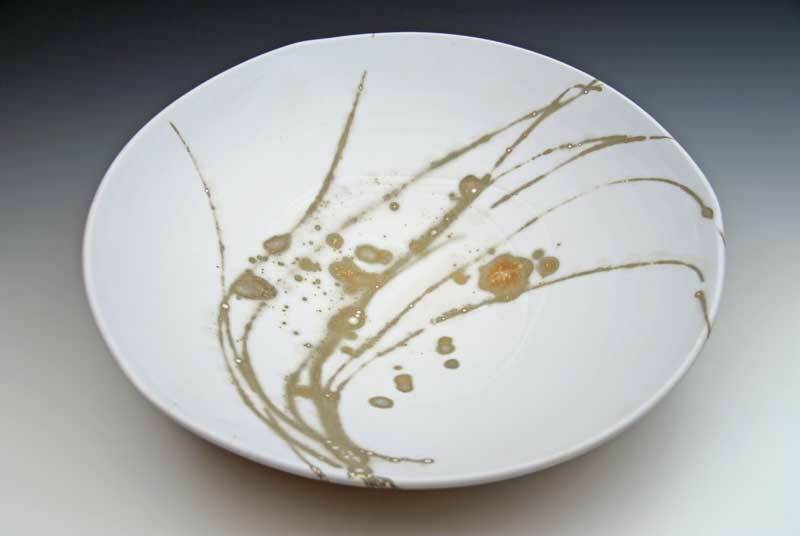 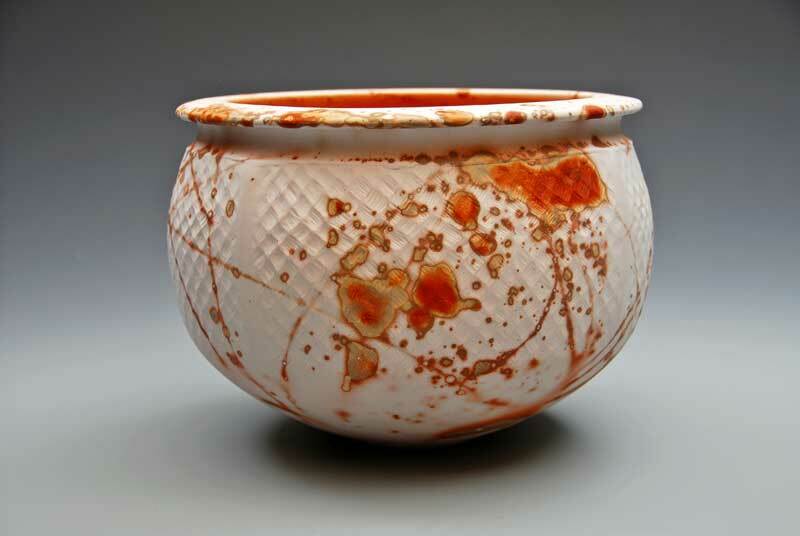 Another avenue of ceramics for which John is renowned is in the field of terra sigillata. 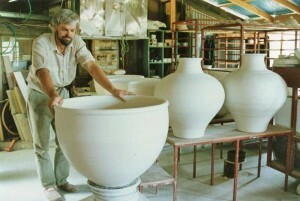 Making of the massive pots commissioned for the Prime Minister’s suite and Cabinet entry. 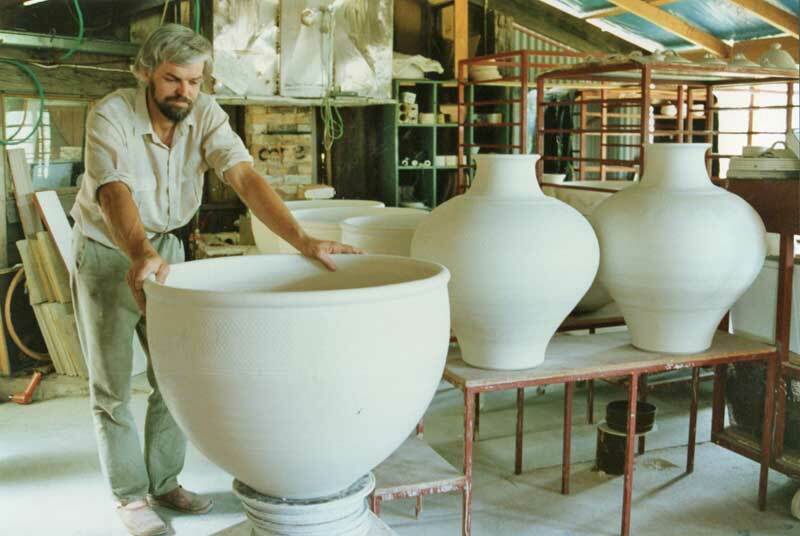 This passion had its foundation back in 1987 when he received a major commission from Romaldo Giurgola and Pamille Berg for the new Parliament House in Canberra. 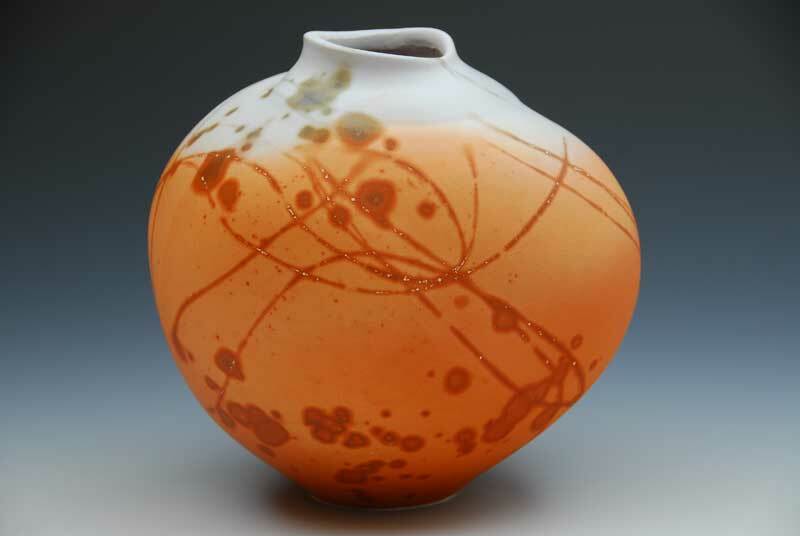 During the completion of these massive pieces for the Prime Minister’s suite and Cabinet entry he had to invent and develop methods for decorating and firing the pots successfully. 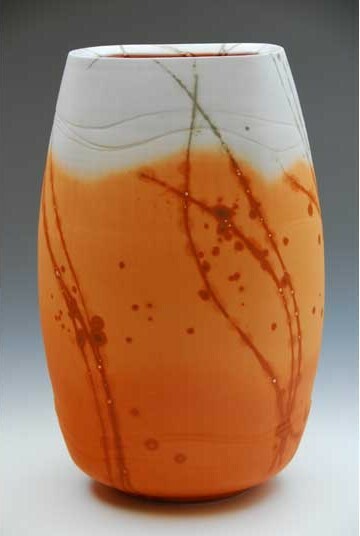 The completed pieces are still regarded by John as some of his finest works.